Our breezy, warm weather continues today with a few more showers possible today compared to the las few days. 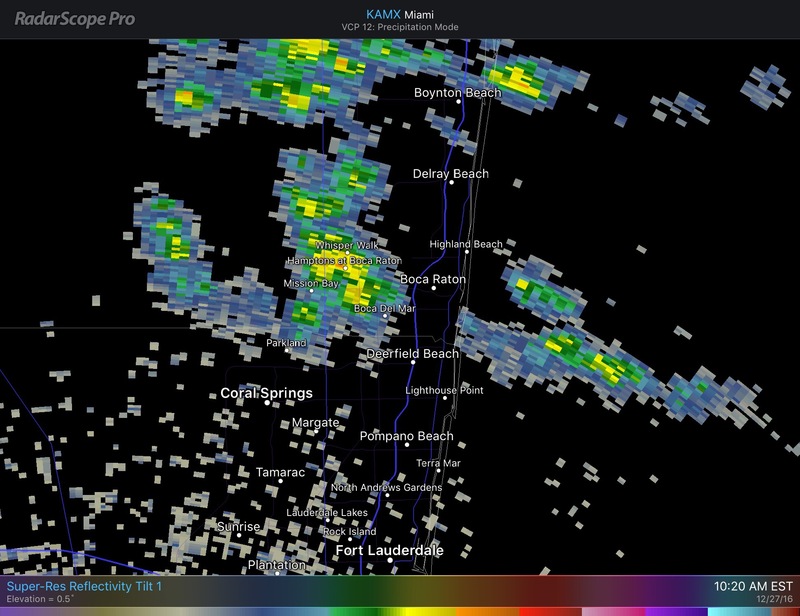 Current radar shows some activity west of Boca Raton and some scattered activit over the Atlantic waters moving towards the WNW. For the remainder of the day we will see a high of 81F and for the most part précis totals under .1 inches. 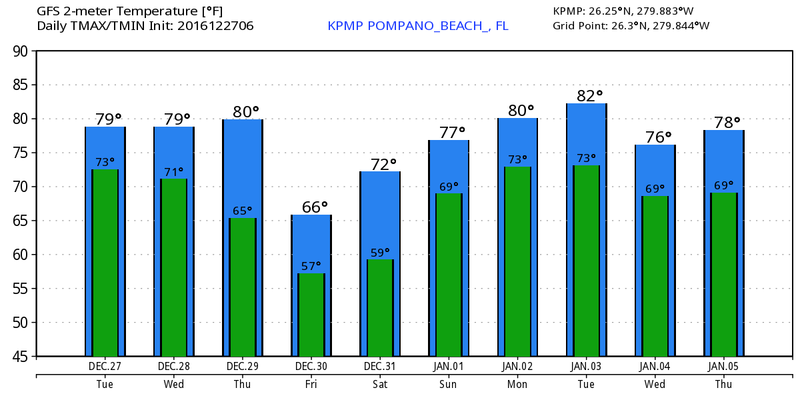 The latest HRRR for Pompano shows us peaking at 80F in the next couple of hours. As mentioned yesterday, Friday we will get a shot of cooler weather that will not last long but will remind us it is winter. At this time I would not expect out high on Friday to break 70F. Here is the latest 10 day highs and lows per the GFS. Do not let those showers out there keep you inside!